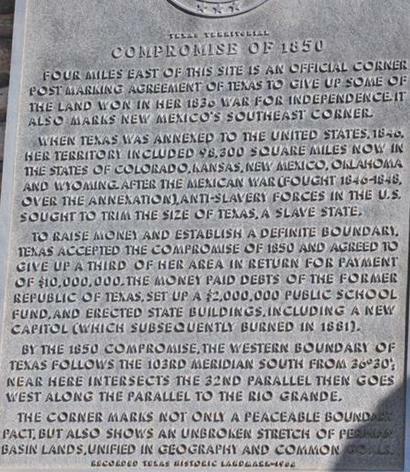 Cheyenne, Texas; and Texas Territorial Compromise of 1850. Cheyenne had no 19th Century history. The town that was to become Cheyenne was originally part of the W. F. Scarborough Ranch. In the mid 1920s an oil discovery was made and was named after the ranch. 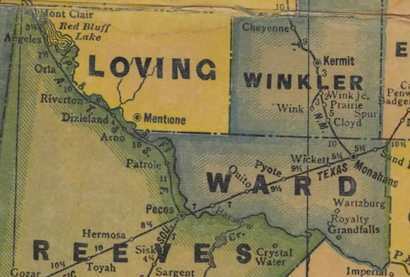 The Scarborough Field came in 1927 and the optimistic residents of Winkler County built crude housing in anticipation. A school was planned but never (thankfully) built. A post office opened in 1929. In the fickle world of boom and bust towns, Cheyenne was briefly eclipsed by an upstart town named Leck. This town was also named after an oil field and fared even worse than Cheyenne, disappearing entirely within a few years. Cheyenne�s post office was moved to the recently-arrived Texas-New Mexican Railroad by Mr. Scarborough and the town seemed to have been given a second-chance. A larger building was constructed for a store/ post office and this structure was joined by a few houses and a handful of fledgling businesses. The Great Depression was in full swing and by the end of the decade, only a single business remained open. The population was reportedly a mere 25 on the eve of WWII and the railroad abandoned its shipping pens in the early 1940s. The final nail was driven in Cheyenne�s coffin when the post office closed in 1944. Four miles east of this site is an official corner post marking agreement of Texas to give up some of the land won in her 1836 war for independence. 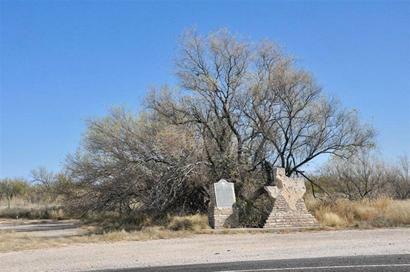 It also marks New Mexico's southeast corner. 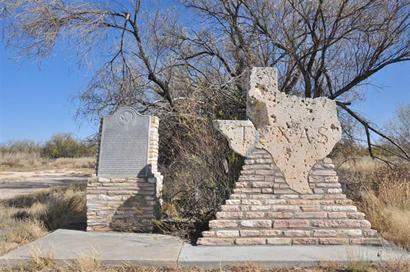 When Texas was annexed to the United States, 1846, her territory included 98,300 square miles now in the states of Colorado, Kansas, New Mexico, Oklahoma and Wyoming. After the Mexican War (fought 1846-1848, over the annexation), anti-slavery forces in the U. S. sought to trim the size of Texas, a slave state. To raise money and establish a definite boundary, Texas accepted the compromise of 1850 and agreed to give up a third of her area in return for payment of $10,000,000. The money paid debts of the former Republic of Texas, set up a $2,000,000 public school fund, and erected state buildings, including a new capitol (which subsequently burned in 1881). By the 1850 compromise, the western boundary of Texas follows the 103rd meridian south from 36* 30'; near here intersects the 32nd parallel, then goes west along the parallel to the Rio Grande. The corner marks not only a peaceable boundary pact, but also shows an unbroken stretch of Permian Basin lands, unified in geography and common goals.